After our stay on Tivoli we did a 2 week trip through the northern part of Namibia as well as the namib desert. From Windhoek we travelled north to Etosha, a park with lots of wild animals like elephants, zebras, lions, anthilopes. We visited also the Hoba meteorite, the largest ever found meteorite on earth. 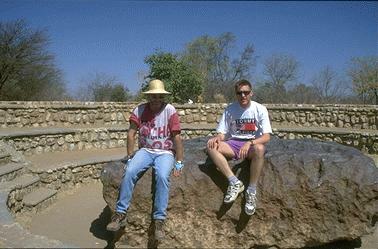 Gerd and me sitting on the Hoba meteorite. 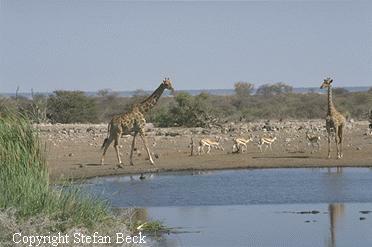 Giraffs near a water hole in Etosha park. 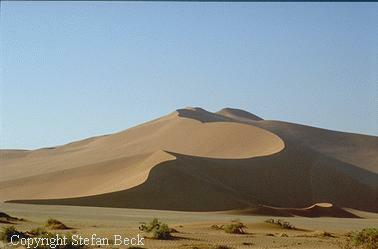 A dune in the namib desert. The desert with the highest dunes on earth. 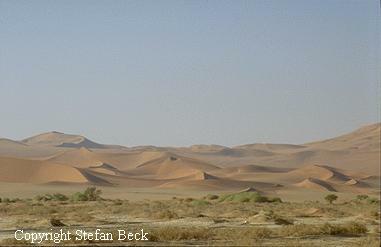 Dunes in the namib desert, near Sosuss Vlei.